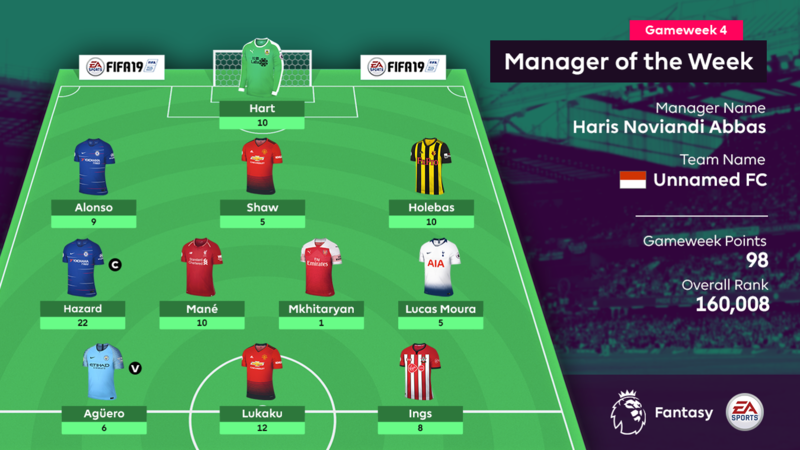 Major hauls from Sunday's Premier League matches propelled Haris Noviandi Abbas to the best total of Gameweek 4 in Fantasy Premier League. Manchester United's 2-0 win at Burnley was particularly fruitful for the Indonesian's Unnamed FC. Haris gained 12 points from the brace by Romelu Lukaku (£11.0m), as well as a clean sheet from his other United selection, Luke Shaw (£5.1m). 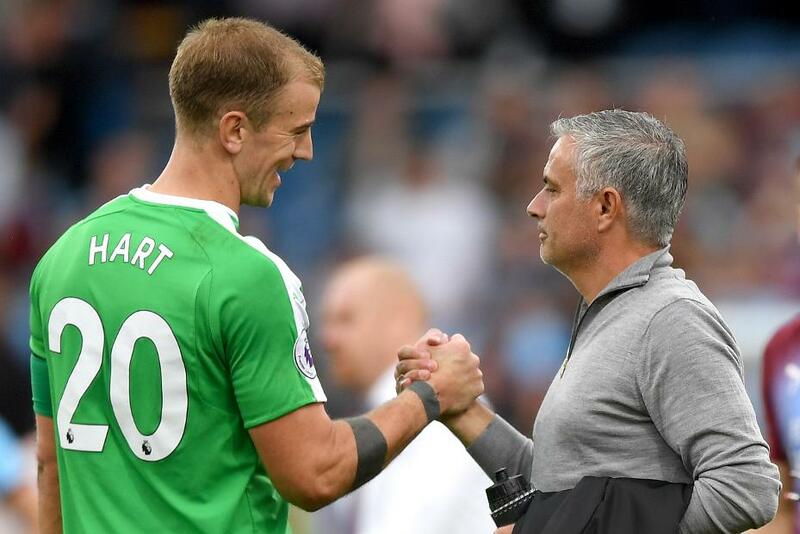 But, arguably, the crucial performance at Turf Moor came from the 5.9 per cent-owned Joe Hart. The Burnley goalkeeper's save from the penalty by Paul Pogba (£8.2m) ended up earning Haris 10 points. A further 10 came from another Sunday player, Jose Holebas (£4.7m). The Watford defender set up both goals in the 2-1 win over Tottenham Hotspur, while Haris netted more points in the match thanks to an assist from Spurs' Lucas Moura (£7.2m). A bold choice to captain Eden Hazard (£10.6m) paid dividends when the Chelsea midfielder scored and received maximum bonus points in Saturday's 2-0 defeat of AFC Bournemouth. The Belgian was only the fifth-most popular captaincy choice of Gameweek 4, making his 11-point return a strong differential. Sadio Mane (£9.9m), Marcos Alonso (£6.8m) and Danny Ings (£5.6m) added a further 27 points between them. And Haris selected his starting XI wisely, with his bench producing only two points over the weekend. His victory marks the second consecutive week in which Indonesia has provided FPL's top-scoring manager with a total not boosted by use of chips. Haris wins a copy of FIFA 19, a Nike Merlin match ball and an FPL rucksack and mug.